Previous: Why Doesn’t Anyone Believe the Research on Epidurals and C-sections? 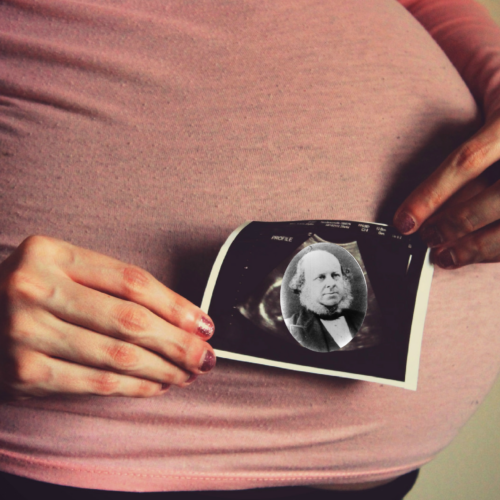 Next: Four Experts Answer Your Top Questions About Contractions, Labor, and Birth. But I like to stay in shape and running is the most convenient form of exercise for me so I lace up and run. 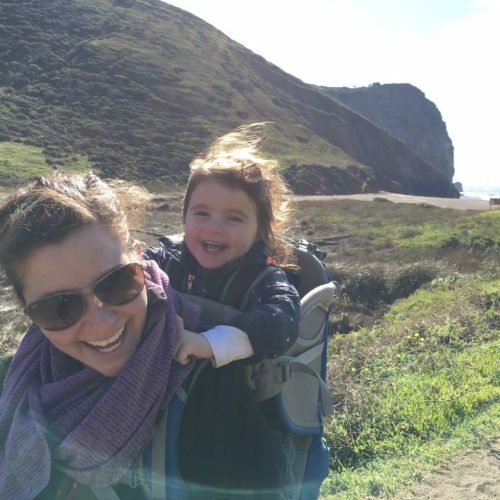 When I got pregnant with my first, I thought: “Sweet, now I have an excuse to stop running!” But, alas, the inner athlete in me refused to die with my expanding belly. The wide world of internet advice seems to stay a bit vague on this issue. More than once, I have seen or overheard the magic number of “140” (mom’s heart rate in beats/minute) floating around despite the fact that a little bit of investigation suggests that this recommendation was nixed in 1994 by the American College of Obstetricians and Gynecologists. But mostly, the advice is simple: if you are overheating, if you are throwing up, if you are bleeding or passing out, stop your workout. Seems a bit obvious to me. if you are overheating, if you are throwing up, if you are bleeding or passing out, stop your workout. Exercise has minimal risk and confirmed benefits for most women. moderate exercise, even for the previously inactive pregnant ladies, does not change a single thing for the baby’s measurements. What about pregnant elite athletes? There’s a category that I definitely do not fit into: elite athlete. But just in case, I checked out an article entitled “Fetal Wellbeing May be Compromised During Strenuous Exercise Among Pregnant Elite Athletes”, a 2012 study The British Journal of Sports Medicine. However, I quickly lost attention when I realized that this study was conducted on SIX women and the only result they found (increased fetal heart rate) occurred when these Olympians, training for endurance events, were pushed to >90% of their maximal heart rate. Basically, if you are training to run a marathon in 2 1/2 hours, you might want to shoot for a 3 hr pace instead when you are running for two. In the end, I ran out of excuses so I laced up and headed out for the door. Bump and all. 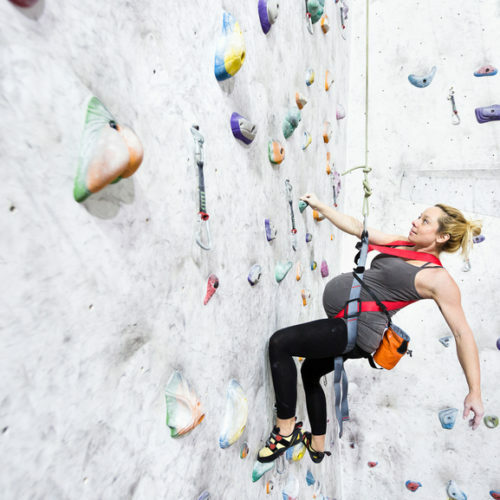 For more information about the benefits of exercise during pregnancy and which activities to explore or avoid (looking at you pregnant SCUBA aficionado) – head over to ACOG’s page on the subject. Want to learn more about health and nutrition during pregnancy? Check out our week-by-week nutrition guide for Mom and Baby! 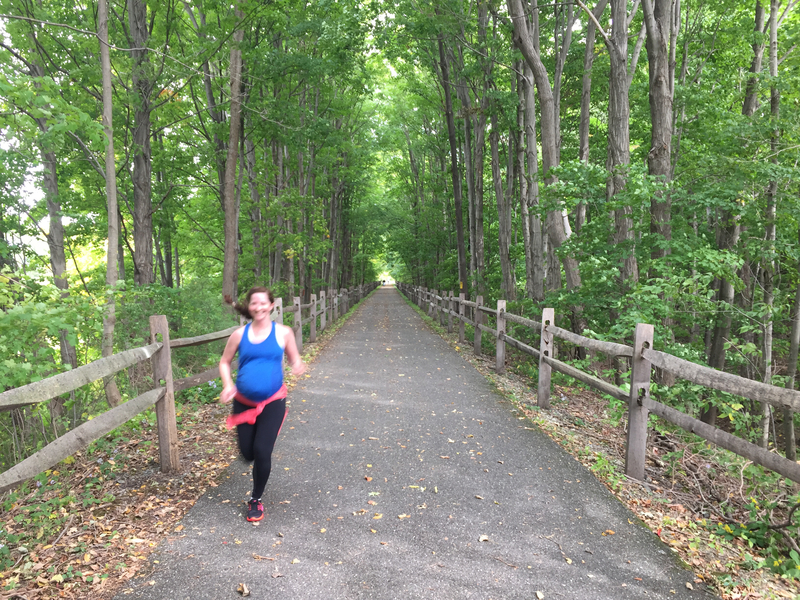 Photo credit: My very pregnant sister who put me to shame by running until she was 38 weeks pregnant.